Visit the CrimeStoppers web site to submit an online tip. Homicide Investigators spend countless hours working to solve crimes. 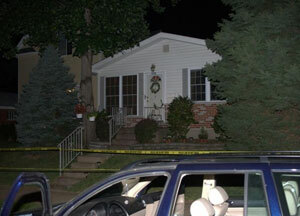 Often the best clues and most helpful physical evidence are gathered in the hours immediately after the crime. As time goes by, cases become more difficult to solve. However, criminals often tell someone about the crimes they committed. Believing information from the public might be the missing key, we will highlight a different unsolved homicide case each month. If you have any information about the cases, please contact Crimestoppers at the number below. 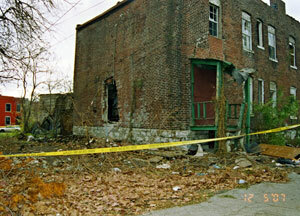 On February 3, 2010 around 6 p.m., four people were in a car driving west in the 4200 block of Dr. Martin Luther King. An individual in another car fired shots at the victims. Marquis Jones, a 27-year-old black male of the 4100 block of Penrose and Keairrah Johnson, a 23-year-old black female of the 4400 block of McPherson both died at the scene as a result of the shooting. A third victim had a graze wound and did not require medical attention. The other person in the car was not injured. Police continue to urge anyone with information about this case to contact CrimeStoppers. On December 21, 2005 at 3:46 p.m., Edward Bibb, a 66-year-old white male, was driving near Forest Park when he was shot and killed. Bibb was driving southbound on Skinker Boulevard when he was shot in the head and subsequently crashed his car. Witnesses say there heard gunshots and saw a gold Ford Taurus continue south on Skinker then head into Forest Park. Investigators have continued to search for clues in this case and request assistance from the public in providing any leads that could lead to the solving of this homicide. 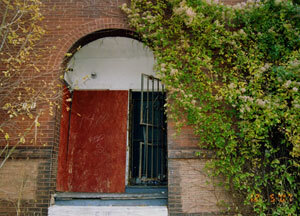 On December 5, 2007, Terry Lawrence, a 42-year-old black female was discovered in an abondened building in the 1400 block of Academy. She had been bound, gagged, raped and beaten. 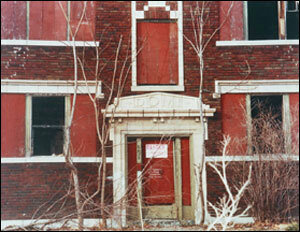 She was taken to an area hospital, then a nursing home and died in April 2008 as a result of her injuries. Homicide detectives continue to work this case and urge anyone with information to contact CrimeStoppers. 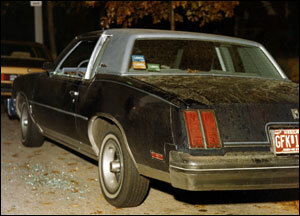 On November 15, 1980, two victims were shot while seated in a blue Oldsmobile Cutlass in the 6200 block of Walsh. Ellen Dooling, an 18-year-old white female and her boyfriend, Gary Consolino, a 20-year-old white male were discovered outside Dooling’s home around 4 a.m. Both victims had been shot in the head. Homicide detectives continue to work this case and urge anyone with information to contact CrimeStoppers. On August 31, 2008, at 12:40 a.m. the victim was returning home from work when witnesses say they heard an argument followed by gunshots in the 3700 block of French. The victim, Matthew Walsh, a 23 year old white male of the 3700 block of French was shot multiple times in the chest. Witnesses say they heard a vehicle speed away from the scene following the shots being fired. Police continue to ask anyone who has knowledge about this murder to contact CrimeStoppers with information. 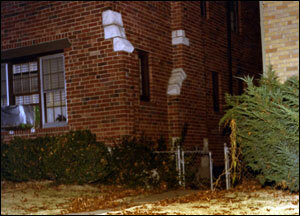 These pictures were taken on the night of the murder. 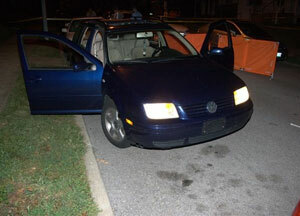 Walsh was still seated in the driver’s side of his vehicle, outside his home, when he was shot. On February 28, 1983, two men working in the 5600 Block of Clemens discovered the body of a black female victim who had been decapitated. After many years of investigations, several task forces and many pleas for witnesses to come forward, the victim has never been identified. Her head has never been discovered. 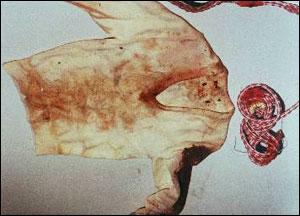 Experts were able to determine the girl was between 8 and 13 years old, and that she died as a result of strangulation. These pictures were taken during the course of the investigation. The victim was discovered at 5635 Clemens in the basement of the building pictured above. She was wearing the yellow sweater seen here and her hands were tied behind her back with the white/red rope.